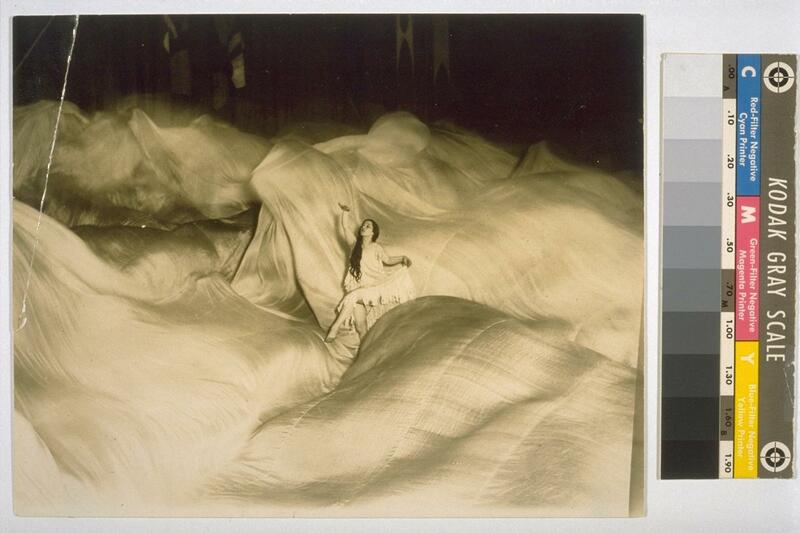 Born in Chicago in 1862, Loïe Fuller began her stage career as a child actress. During her twenties, she performed as a skirt dancer on the burlesque circuit. In 1891 she went on tour with a melodrama called "Quack MD," playing a character who performed a skirt dance while under hypnosis. Fuller began experimenting with the effect the gas lighting had on her silk skirt and received special notice in the press. Her next road tour, in a show called "Uncle Celestine," featured this new version of the skirt dance. 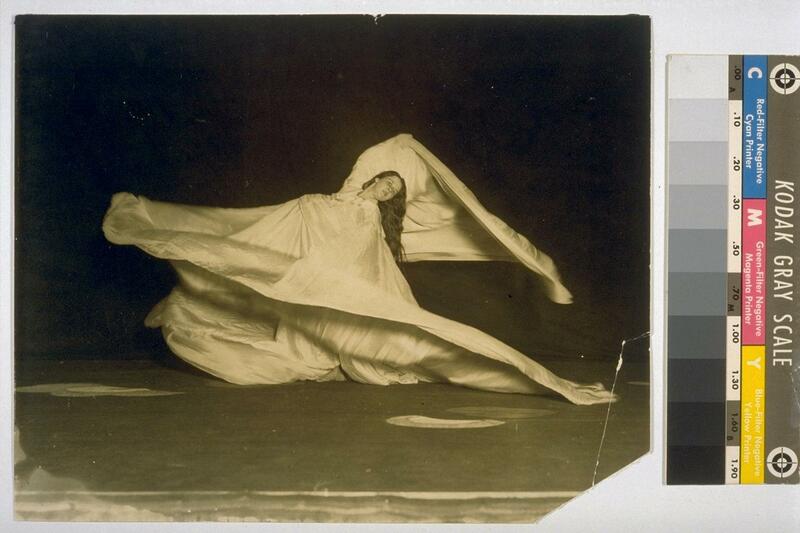 By emphasizing the body was transformed by the artfully moving silk. One reviewer described the effect as "unique, ethereal, delicious...she emerges from darkness, her airy evolutions now tinted blue and purple and crimson, and again the audience...insists upon seeing her pretty piquant face before they can believe that the lovely apparition is really a woman." By 1892, Fuller had moved to Paris and was performing with the Folies Bergeres. She was an immediate sensation with audiences and critics. 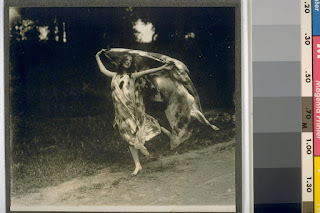 Stephane Mallarme, the leading poet of the Symbolist movement, dubbed her "La Loie" and described her dancing as "the dizzyness of soul made visible by an artifice." Fuller remained in Europe for the rest of her career, continuing to develop her theories of movement using material and lighting effects. She returned to the United States to perform, but was never fully appreciated by her own countrymen. - Fuller was an inventor and stage craft innovator who held many patents for stage lighting, including the first chemical mixes for gels and slides and the first use of luminescent salts to create lighting effects. She was also an early innovator in lighting design, and was the first to mix colors and explore new angles. Fuller was well respected in the French scientific community, where she was a close personal friend of Marie Curie and a member of the French Astronomical Society. - Fuller had a school and a company beginning in 1908, where she taught natural movement and improvisational techniques. She did not, however, teach them her lighting and costuming "tricks." 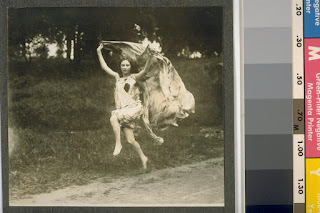 - Fuller was the first expatriot American dancer, and introduced Isadora Duncan to Parisian audiences.